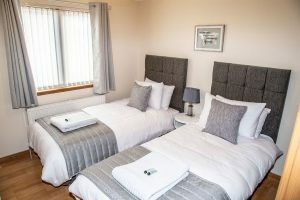 Welcome to Simonelli Apartment, Inverness − a luxurious home in the bustling capital of the Highlands. Berneray Court is available for selected dates. 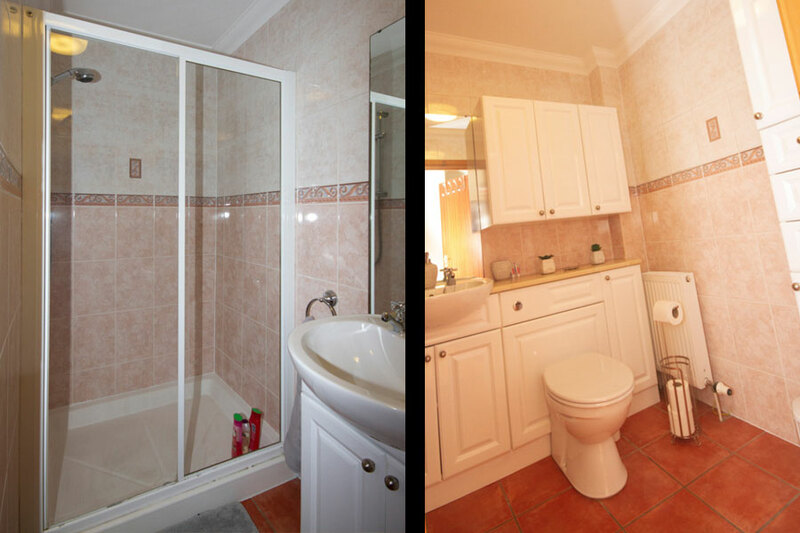 Simonelli Apartment, Inverness − Ground Floor Flat in a popular and well-established residential area of Inverness. Situated in the cultural capital of the Highlands, this is a bright, spacious and comfortable flat with its own Entrance. Free ample parking, unlimited free WiFi. Smart TV, gas central heating. luxury bedding and pillows. 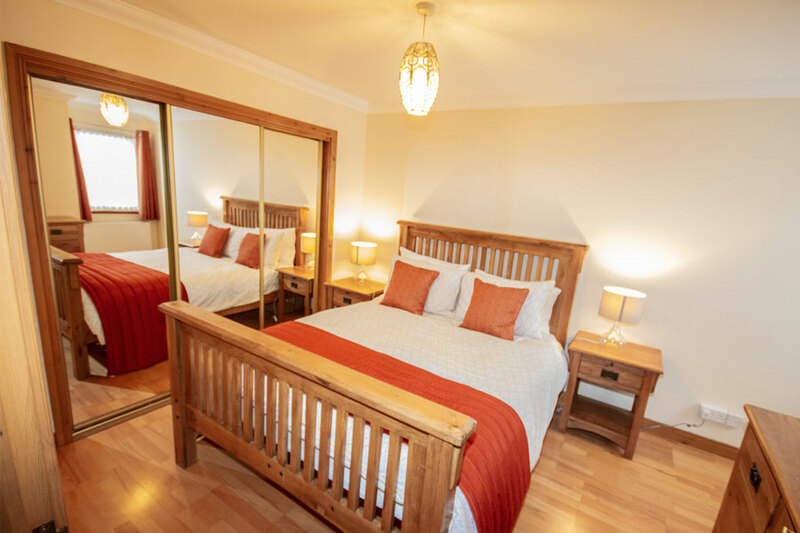 Two bedrooms with large fitted wardrobes, side tables and chest of drawers. Bedroom One: Kingsize bed. Bedroom Two : Two single beds which can be zipped together and made into a superking as requested. Hairdryer available. 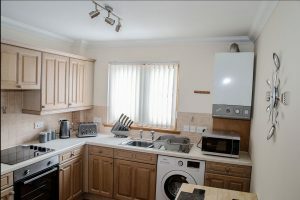 The kitchen is equipped with a fridge, oven, microwave, kettle, toaster and washing machine. There is also a table and benches for dining. Shower room with large enclosure. All gas, electricity, towels and linen are included. 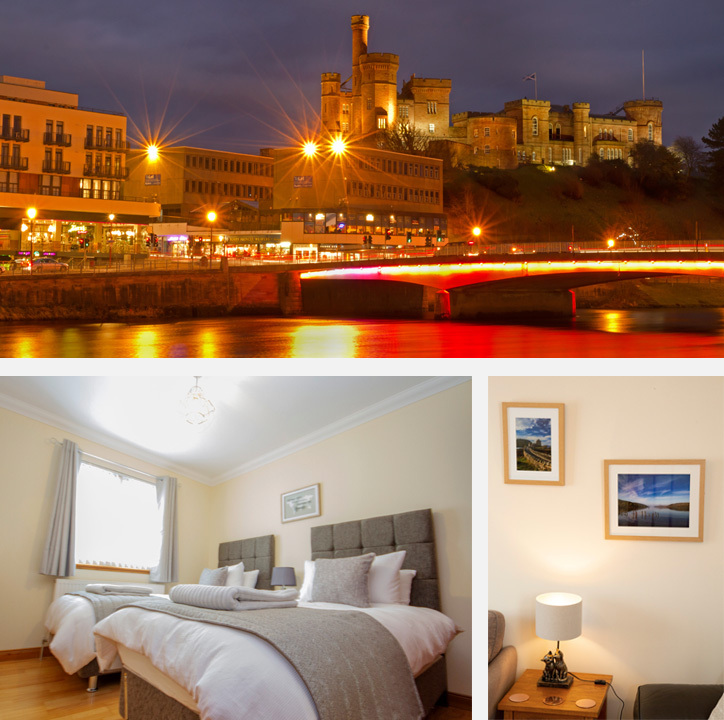 Simonelli Apartment, Inverness − Where you'll find us. Located within easy reach of the city centre. 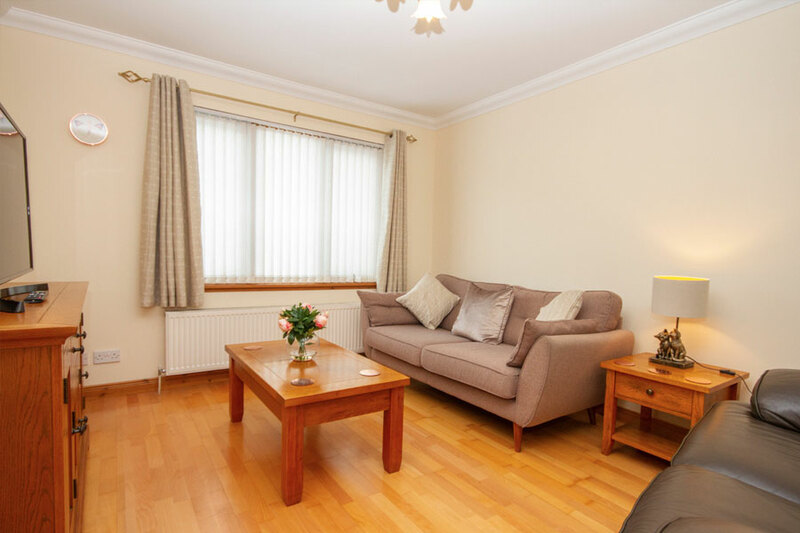 A pleasant 20 minutes’ walk, offering extensive shopping, leisure and entertainment facilities. Including the Castle and Viewpoint, Eden Court Theatre and Cinema, The River Ness, Ness Islands, Inverness Museum and Art Gallery and The Eastgate Shopping Centre. Less than a mile to Inverness Golf Course, one of many fantastic courses around. Start and end point of the increasingly popular North Coast 500. Popular tourist destinations such as Loch Ness, the historic Culloden Battlefield and Urquhart Castle are all a short Drive away. Attractions for all the family; Cruise on Loch Ness, Historic castles, Go-karting, Bowling, Golf courses and Culloden Battlefield. Click the icon above for full details. With so many amazing places to eat you are truly spoilt for choice! We will therefore mention a few BUT the list could go on and on!! Click the icon above for full details. As you approach Inverness from the South, take the first exit on the left towards Sir Walter Scott Drive/ B8082. At the roundabout take the 5th exit onto Old Perth Road/ B9006, passing Raigmore Hospital on your righthand side. At the next small roundabout just after the Filling station on your left continue straight onto Culcubock Road B853. Turn Left onto Harris Road. At the Roundabout 2nd exit onto Berneray Court. The Property is number 20 within the third block of Apartments on the Lefthand side. Parking – ample free car parking available. By Bus, Train or Plane – From the city of inverness, there are local taxis and buses.